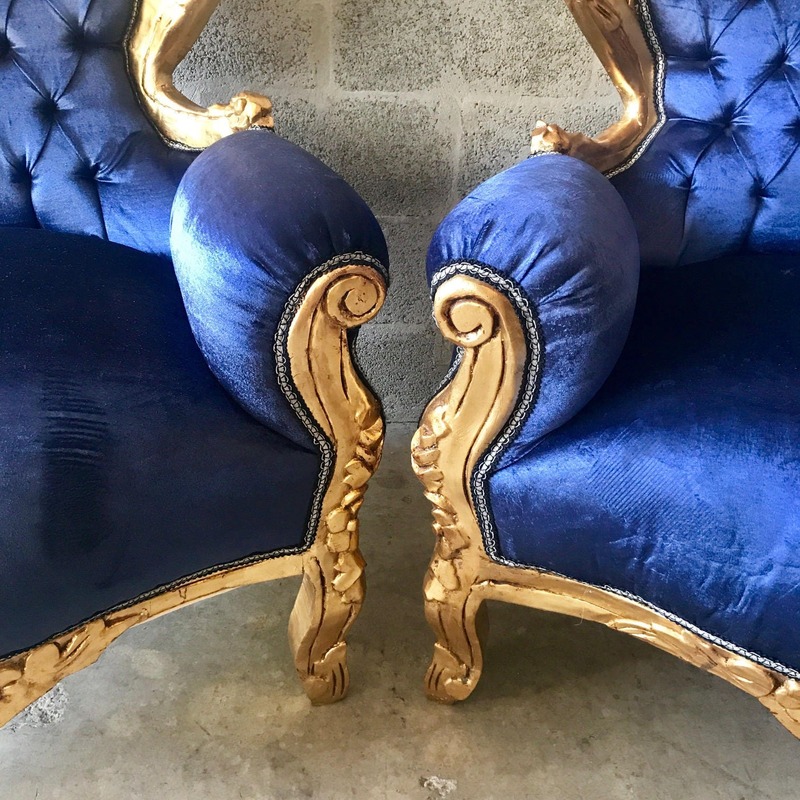 Beautiful 3 piece set available. 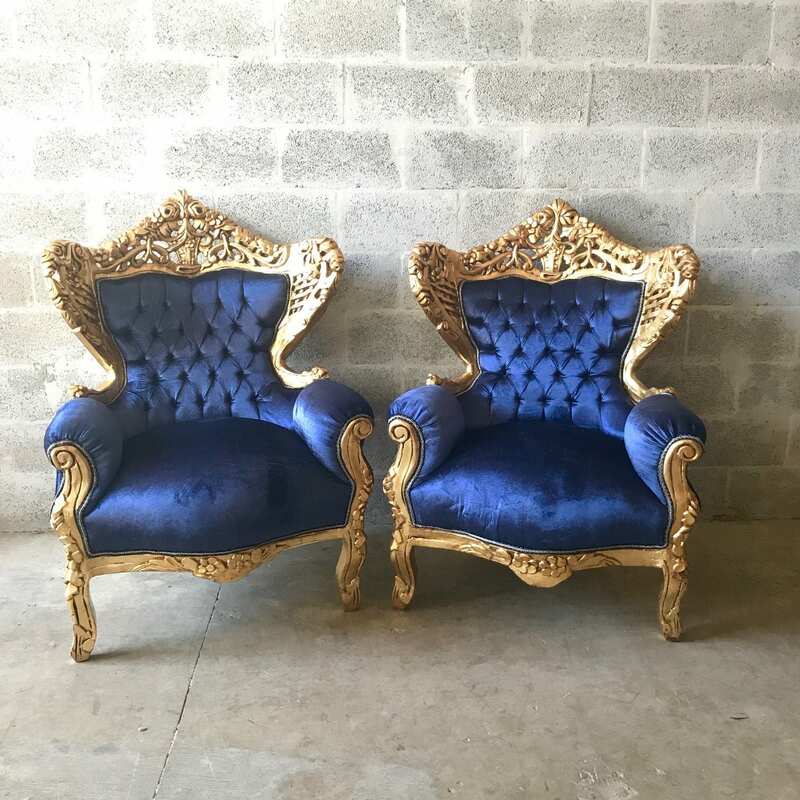 Willing to break up the set. 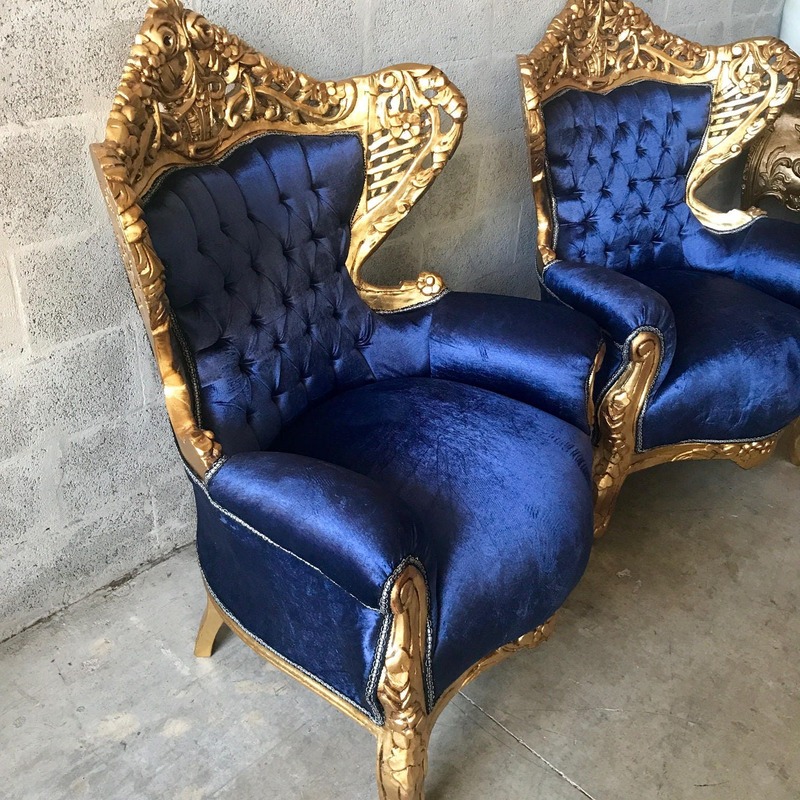 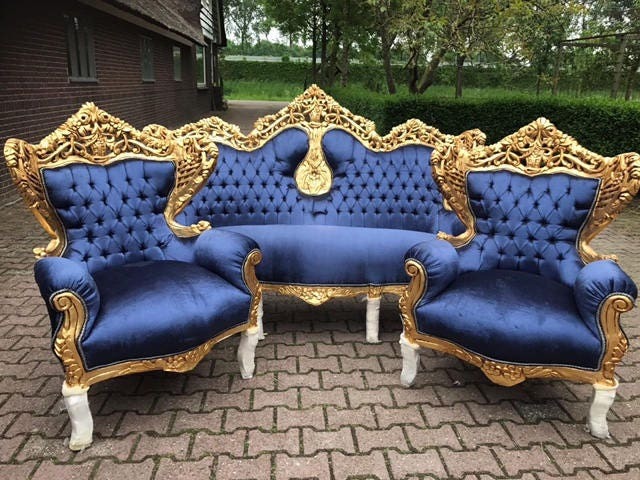 Lovely Baroque style throne sofa with matching chairs. 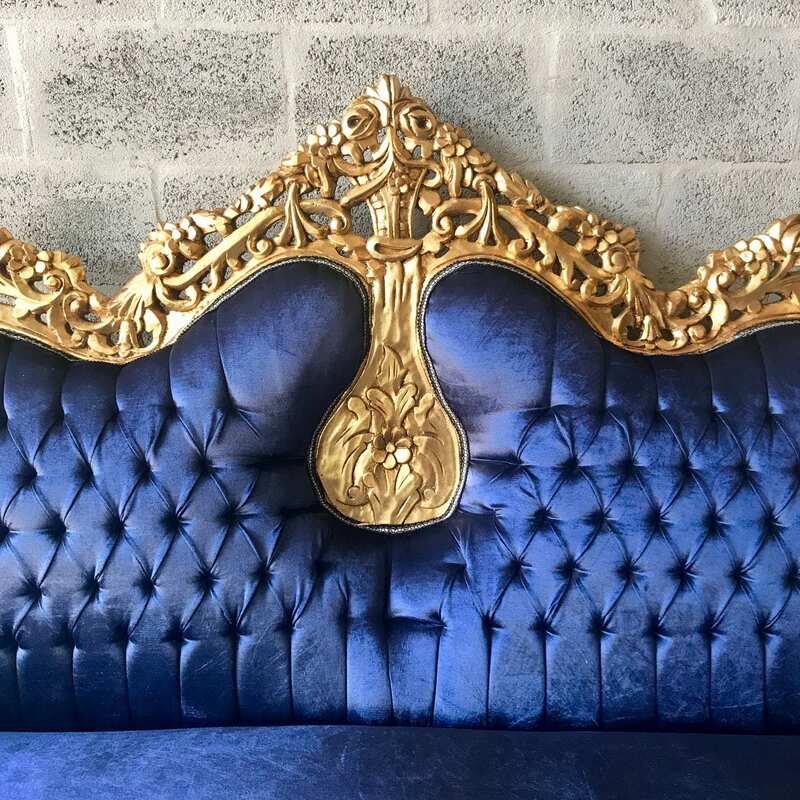 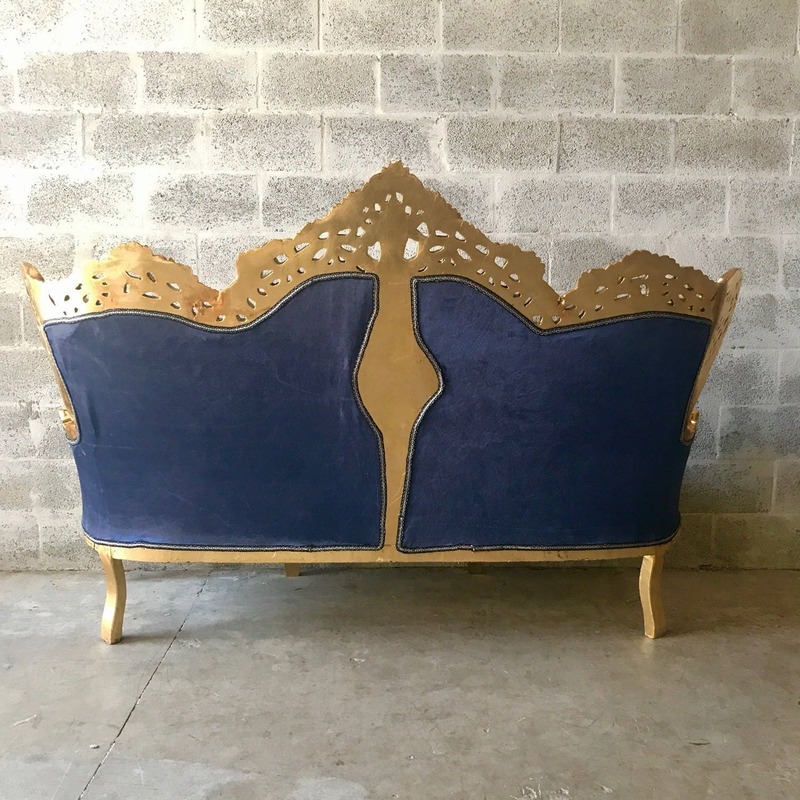 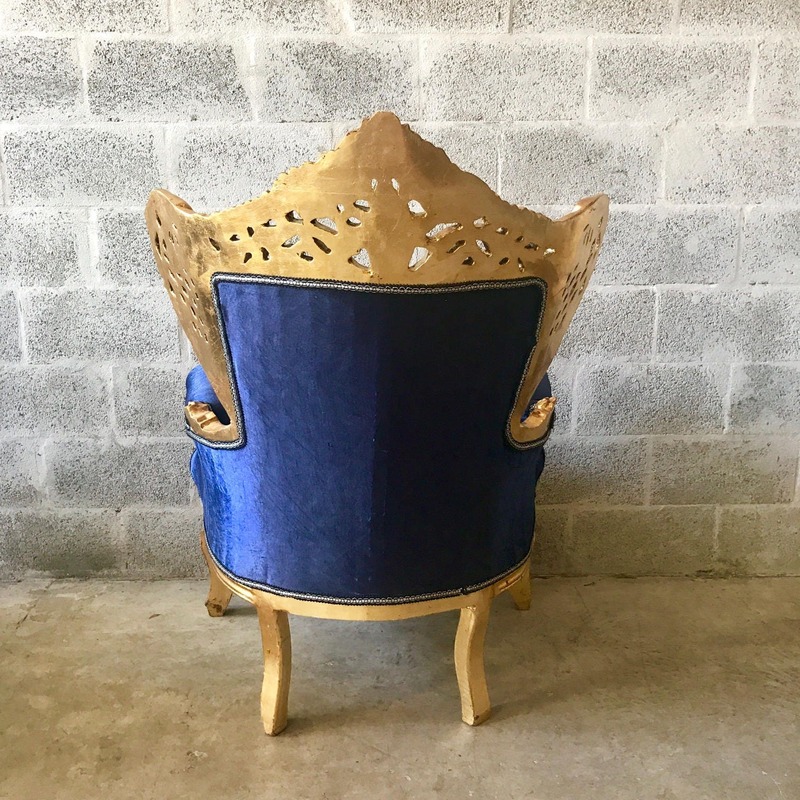 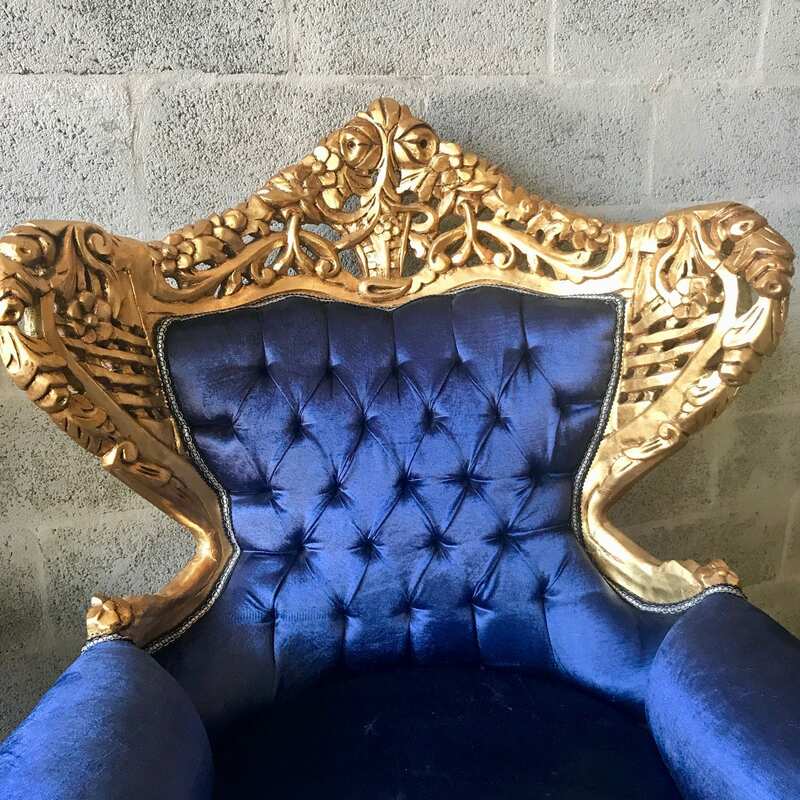 Frame was refinished in Italy and new upholstery using high end Royal Blue velvet. 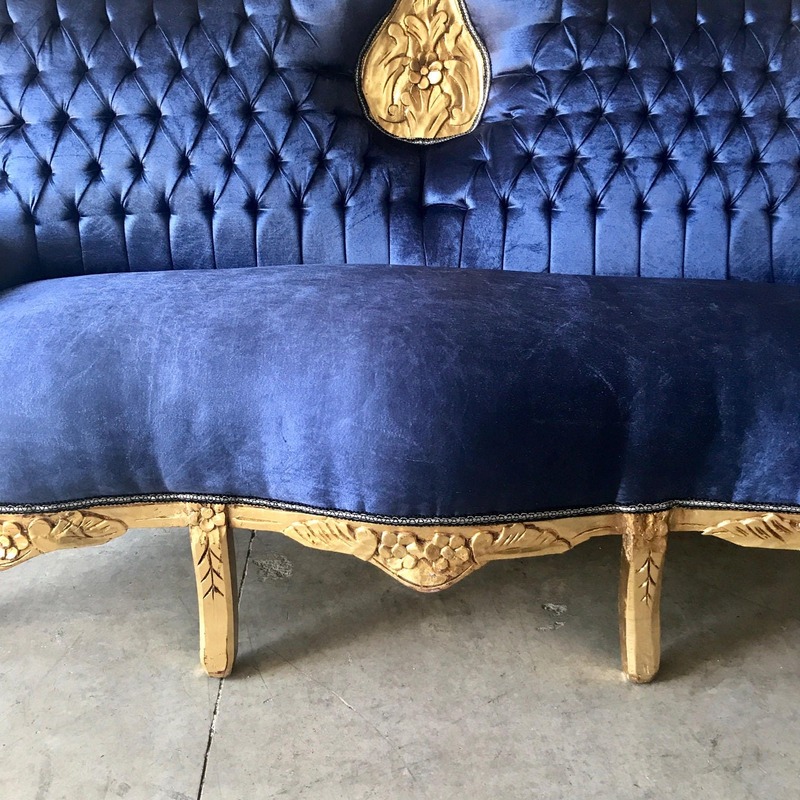 The backrest was tufted to make it stand out. 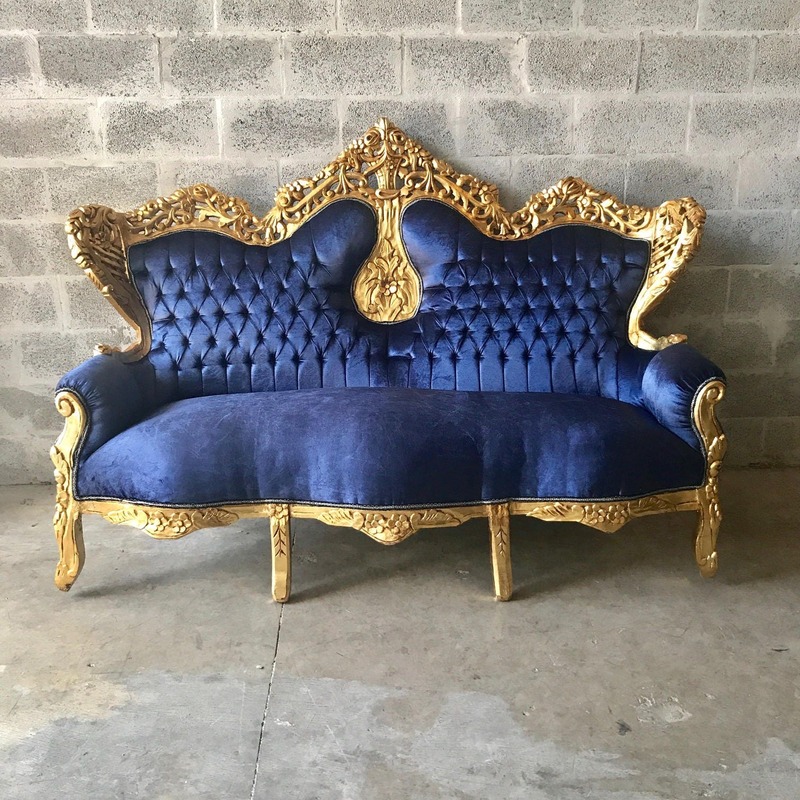 Stunning set.